Florida Psychologists can earn all 40 hours required for renewal through online courses offered by Professional Development Resources, an APA and Florida Board of Psychology Approved Provider. Click here to view APA and Florida Board-approved online CEUs. 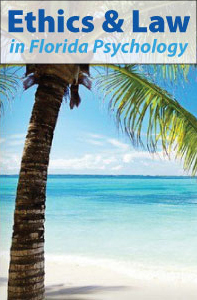 Florida psychologists save 20% on all CEUs now through May 31, 2015.